Is your car ready for snow? Running a Fleet – What is Needed? A careful, smooth driving style will help keep many parts of your car in good condition for longer, from the engine to the brakes to the suspension. The tyres are no exception, but taking it easy on them will only preserve them so far. There are a few other things that can be done to keep your tyres within the legal 1.6mm UK tread depth limit. The first thing to do is check your tyres regularly, looking at the condition of the tyres from both sides. Any signs of uneven wear should be addressed as soon as possible. 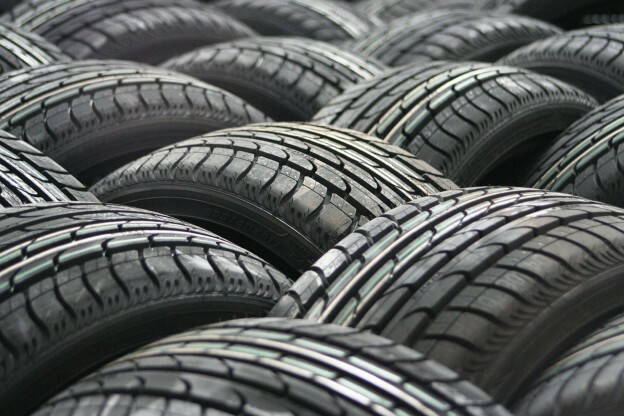 Wear on both sides of the tread or in the centre are likely caused by under or over inflation. If the wear is on one side of the tread, it could be a problem with wheel alignment or the suspension. This kind of wear is easy to miss if it occurs on the inside tread. A good way to avoid uneven wear and mitigate the difference in wear between the front and back tyres is to have the tyres rotated roughly every 6,000 miles. The tyres need to be rotated in a specific way relating to the way the cars wheels are driven and the tyres construction.